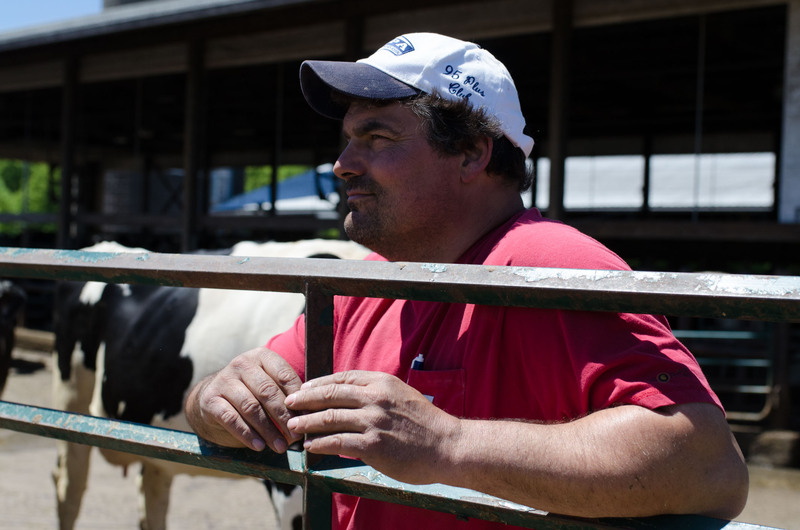 Burke Larsen is owner of a MAEAP certified farm in Scottville, Michigan. Dairy farming today looks more like a gambling risk than a way of life and minimizing risk is a welcome concept to dairy producers who feel like they are losing control in a poor dairy economy. With sagging markets, the last thing dairy producers need to worry about is a pollution risk. To help minimize or prevent agricultural pollution risks, the Michigan Agriculture Environmental Assurance Program (MAEAP) was developed and today more than 4,700 farmstead, cropping, livestock or forest, wetlands and habitat systems have been verified in Michigan. The first producer to be verified in three MAEAP systems, Farmstead, Cropping and Livestock, in Mason County, was Larsen Dairy Farm, owned by Burke and Lisa Larsen. They work 1,600 acres and milk 500 cows. MAEAP is an innovative, proactive and voluntary program that helps farms of all sizes and all commodities prevent or minimize agricultural pollution risks. It ensures that Michigan farmers are engaging in cost-effective pollution prevention practices and working to comply with state and federal environmental regulations. MAEAP Director Joe Kelpinski describes MAEAP as an environmental check that lets a farm know where they are at and how to find solutions to do it better. They essentially act as an environmental consultant. The process to become verified has three phases. It starts off with an overview of the program. Then, a MAEAP technician visits the farm and gathers information, using a set of tools to assess various practices, such as how pesticides, herbicides and petroleum products are stored, or how waste is managed. The technician then sits down with the farmer and comes up with an action plan. Once they have a plan, the on-farm verification ensures the farm has implemented environmentally sound practices. The MAEAP Livestock System Primarily focuses on environmental issues related to livestock activities, including manure handling, storage and field application, as well as conservation practices to protect water and prevent soil erosion. Prioritizing the projects was part of the success at the Larsen’s farm. The Larsens constructed fuel, pesticide, and fertilizer storage units and a state-of-the-art manure storage and handling disposal system. Their one-of-a-kind loop facility reclaims bedding sand for reuse and includes a mechanical manure separator. It also utilizes wash water to transport manure to concrete-lined pits in an environmentally safe manner. Manure is then spread on crop fields at rates that will not cause runoff or infiltration into ground or surface water.